Netbooks are all about portable connectivity, so it’s sort of surprising that so few netbooks ship with any sort of capability to latch onto anything but wide-open public hotspots. Computer maker Asus looks to change that, announcing it is preloading Boingo access software on selected Eee PC netbooks—and Asus customers also qualify for discounts on Boingo wireless service. Boingo membership provides access to more than 125,000 Wi-Fi hotspots around the world, including airports, major hotels, coffee shops, cafes, and other locations. 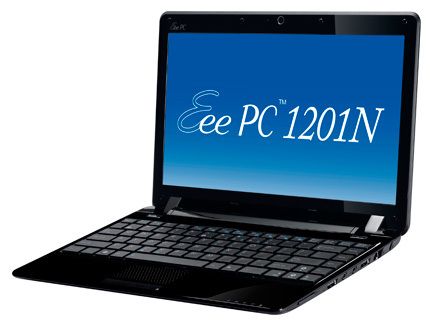 For now, Asus is rolling the software into its Asus Eee PC 1005PE, 1008P, and 1201N netbooks; it plans to bring the software to other models soon. “With its simple-to-use software and global Wi-Fi service, Boingo is the perfect fit for ASUS Eee PC users, who are accustomed to a user-friendly, highly intuitive computing experience,” said Asus product marketing manager James Tung, in a statement. Whether customers will see the Boingo software as a benefit or as so-called “crapware” remains to be seen. However, Asus’ deal does enable customers to get half off the first three months of Boingo Unlimited service; that normally runs $9.95 per month in the Americas, so that translates to just under a $15 benefit. Customers can also get half off the first month of a Boingo Global account; those run $59 per month for world wide Wi-Fi access.